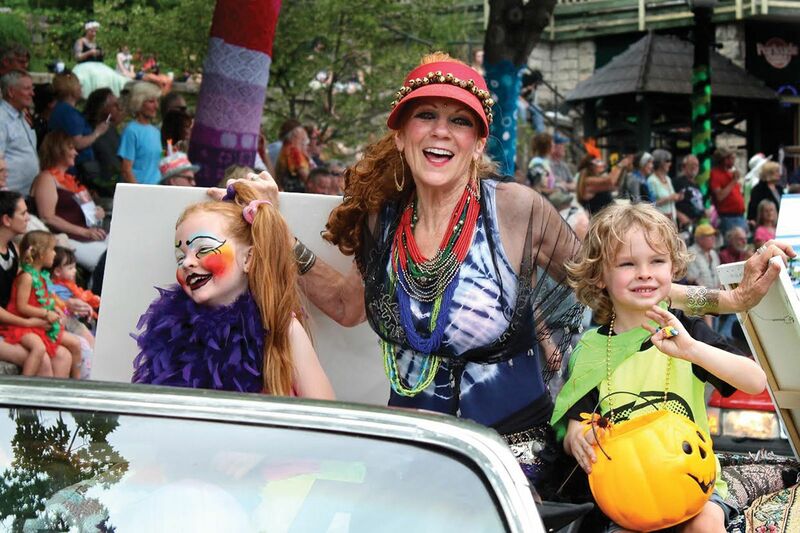 May is easily the most popular month to visit Eureka Springs, and that's all because of the long-running May Festival of the Arts. This is the 32nd year the festival has showcased the talents of local and regional artists, with events held at Basin Spring Park, The Auditorium and everywhere in between. Event organizer Sandy Martin said this year's festival will have the biggest kick-off weekend in its history, starting with Steve Earle & The Dukes performing at 8 p.m. Friday, May 3, at the Auditorium. On Saturday, May 4, Martin said, Basin Spring Park will be busy from morning to night. Martin said the festivities kick off with costume making in the park for those who would like to dress up for the annual ArtRageous Parade, scheduled for 2 p.m. later that day. The theme for the parade is costumes, Martin said. "We're going to have a couple artists down there. They'll be setting up make-your-own costume stations, like mask making and face painting," Martin said. "We're inviting the public to be involved with the parade this year." Martin continued, "It dawned on us we never really engaged the public in that. Everything is all about the experience, and the best thing about Eureka Springs and MayFest is experiencing the arts and culture. We want to get as many people from the public involved in the parade as we can." The parade hasn't always had a theme, Martin said, but this year's theme is broad enough to appeal to everyone. "Eureka is costume crazy, and that's very artistic in self-expression," Martin said. "We figured what a fun thing to do to just turn it into a crazy costume type of parade." Later that night, Martin said, there will be a screening of the film Hollywood.com at the Auditorium. "That's just kind of a funky and fun movie," she said. There will be a Cinco de Mayo celebration in Basin Spring Park on Sunday, May 5. Martin described the festivities, saying it's an event for the whole family. Popular children's performer Papa Rap will perform in the park, Martin said, and everyone will have the opportunity to hit around a giant piñata. "It's going to be a lot of fun," Martin said. "We're already hearing pretty strong interest in that." Throughout the month, Martin said, restaurants will partner with artists to host A Taste of Art. During those events, she said, the restaurants will offer an artist reception. "They'll show their art all night long," Martin said. "We're excited to bring that back on Thursdays." The celebration continues throughout the month, Martin said, with an art fair being held at Basin Spring Park May 11-12. 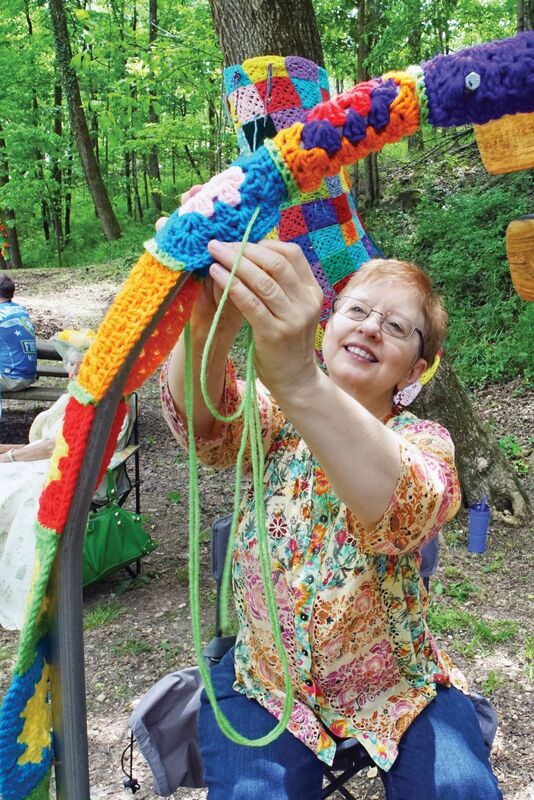 Martin said the art fair will feature the crocheted work of local artist Gina Gallina, who has showcased her crocheted creations all over the country. 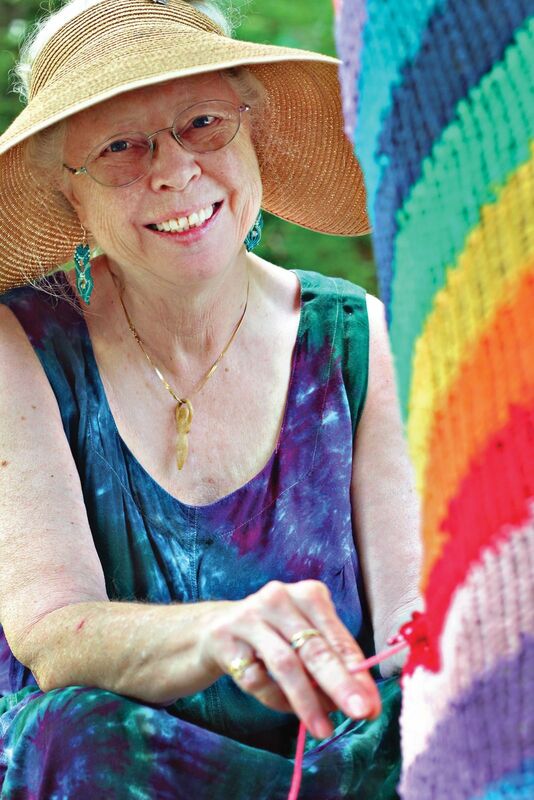 At the free event, Gallina will teach everyone who stops by how to crochet flowers and leis. "The park will be full of crocheted flowers and leis," Martin said. "Anybody at any age with any interest in art can learn from someone who really knows what they're doing." The next weekend is just as busy, Martin said, with Jazz in the Park taking place in Basin Spring Park on Saturday, May 18. Also on Saturday, there will be a public reveal of the Art Wall in downtown Eureka Springs. Stephen Feilbach, Larry Mansker and Eureka Springs High School students have been working on the Art Wall, Martin said. "They have done a treatment on the two walls enclosing the Art Wall," Martin said. "It'll be a soft foliage mural and 3D concrete sculptures of leaves and butterflies. That ought to be a really good addition to that spot, and it'll tie in to the Native Plant Garden nearby." The next week is all about the Eureka Springs Plein Air Festival. The festival is scheduled from May 20-24, with art being displayed at Main Stage Community Center in downtown Eureka Springs. Martin said this year's festival will be a little different from festivals of the past, saying some of the best plein air painters in the country are invited to paint Eureka Springs. "They're inviting some of the best plein air painters for a higher purse," Martin said. "It's going to be more of an exhibition for them, but there will be judging. We'll be doing workshops on plein air paintings, too." Martin said she's excited to offer so many different artistic experiences throughout the month. That's what May Festival of the Arts is all about, she said. "It's something Eureka has more uniquely and more authentically than any other place in the country," Martin said. "We're so eclectic and so concentrated with creative people. Art is becoming extremely diversified, and it's important for us to broaden the definition of that for the people who come to town." She continued, "You'll never see anything like this ever again, and each year it's different. We want it truly to be an experience for visitors. 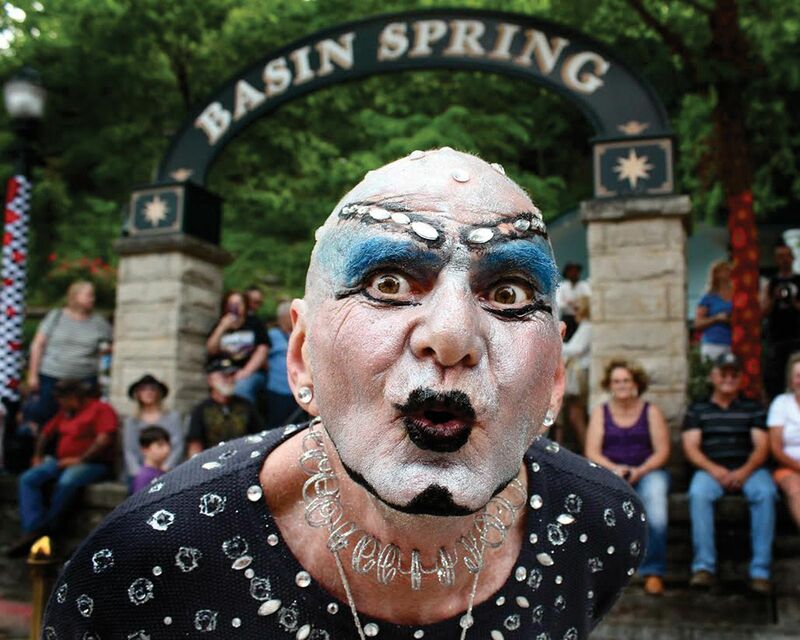 We want to integrate everyone in our culture to get to know us, and we hope people get hooked on Eureka Springs."